Longford Town let a 1-0 lead slip with the last kick of the game in Drogheda on Friday night as the hosts grabbed the headlines in the big game of the weekend in the First Division. UCD gladly took advantage of their title rivals dropping points as the "Students" came from behind to defeat a struggling Finn Harps side, while Cabinteely pulled off the upset of the round with a 2-0 Dublin derby win against high-flying Shelbourne. 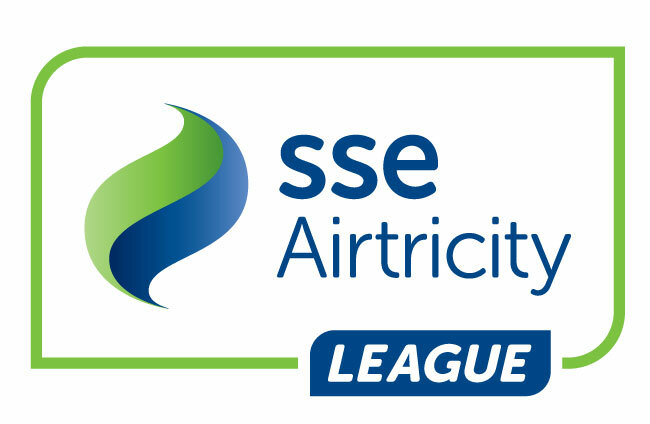 Elsewhere, Cobh defeated a hopeless Athlone Town outfit, while Wexford FC were also comprehensively beaten by stuttering Galway United. With so much on the line between these two promotion hopefuls, it was always going to take something special to separate the sides on a woeful United Park playing surface on Friday night. Dean Byrne's special strike early into second half proceedings looked to be that piece of brilliance that would earn the midlanders a huge away win, their first of the season for that matter, but with the very last kick of the game Drogheda's Ciaran Kelly rifled home a fantastic left-footed side volley to earn the "Drogs" a share of the spoils in a game Longford had numerous opportunities to kill off. The result leaves the hosts just two points behind UCD at the top, while Neale Fenn's Longford are four points off the pace ahead of Saturday's huge home showdown with the "Students" at City Calling Stadium. Having lost surprisingly against Drogheda United last time out, UCD could ill afford another slip up as Ollie Horgan's slow start Harps came to town on Friday night. Indeed start slow Finn Harps did as red hot goal scorer, Georgie Kelly gave UCD the lead at the Bowl after just fourteen minutes. However, on loan Derry City man, Sam Todd pulled the Donegal club level just before half-time and when Mark Coyle put Harps ahead just one-hundred-and-eighty-seconds later, it was panic stations for the UCD faithful in attendance. However, Collie O'Neill's side have become known as something of ultimate underdogs in recent years as the youthful Dublin outfit hit back on sixty-eight minutes through you know who, Georgie Kelly with his sixth goal of the season. Just nine-minutes later, the dynamic number nine did it again as Kelly collected not only the match ball but three points that would send the "Students" back on top of the First Division pile as Finn Harps fell down to lowly seventh place in a division many expected the Donegal side to light up this season. UCD will now look to defend their lead at the top when they challenge a stylish looking Longford Town side in Longford on Saturday evening. With only two wins from five league games prior to this home clash with a slightly improving Wexford FC, Shane Keegan will have been eager for his Tribe to get back to goal scoring and winning ways on Friday night but it certainly wasn't looking certain after Aaron Dobbs gave the South-East club the lead after twenty-seven-minutes. However, Danny Furlong's goal drought was always certain to end soon rather than later and when he leveled the equation in the second half there was only ever going to be one winner. A sixty-sixth minute red card and penalty against the visitors certainly made matters easier for Galway, who took the lead from the penalty spot as Alan Murphy became the clubs all-time leading goal scorer with the strike, Ross Kenny the man dismissed for Wexford. Late goals from Dundalk loanee, Carlton and promising talent Eoin McCormack settled matters at Deacy Park as the "Tribesmen" move to within four points of a UCD side they drew 1-1 with in Dublin just a few weeks ago. Crucially, Galway also have a game in hand, following last weeks postponement in Donegal. The writing was on the wall earlier in this one as Andrew Wall scored at a deserted Lissywoolen to put Cobh Ramblers ahead after just sixty-seconds of play. Jaze Kabia then grabbed a quick fire double on the stoke of half-time as the "Rams" went in at the break 3-0 up. George Mukete gave Aaron Callaghan's charges a brief glimpse of hope on the hour mark as he scored to make it 3-1 but five minutes from time the experienced Darren Murphy converted from twelve-yards to give the "Islanders" a comfortable 4-1 victory. Brian Cabraley was dismissed on sixty-three minutes for the hosts, who remain bottom on a single point after eight matches in the First Division. Having lost 3-0 away to Longford last time out, you would have found very few backing the hosts in this Dublin derby played out at Stradbrook on Friday night. Longford Town legend, Davy O'Sullivan came into this one as the leagues top-scorer with nine goals, a high for both divisions, but even the "Shels" number ten failed to break down a much improved "Cabo" back four on the night. Goals from Conor Keeley and Kieran "Marty" Waters gave "Cabo" only their third win of the season as Pat Devlin's side move onto nine points, still four points off Shelbourne, who sit in third position.